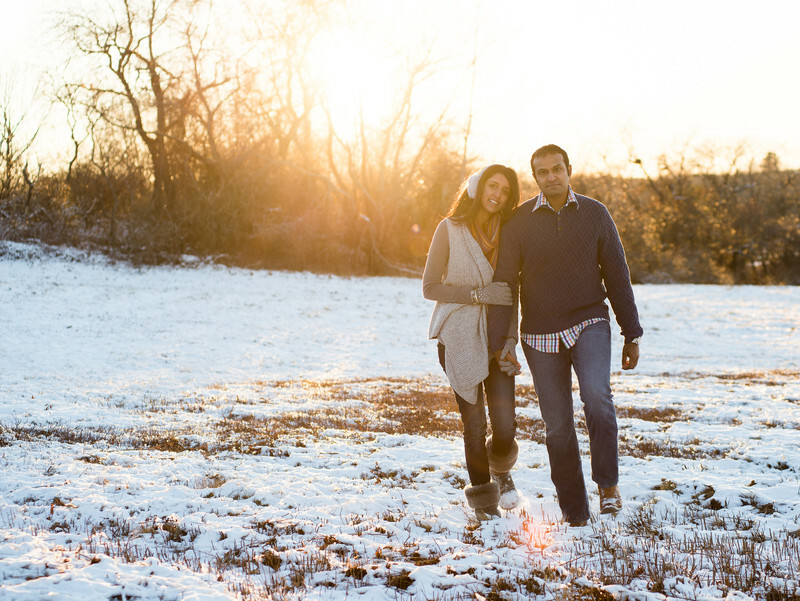 Winter is a lovely time to book an engagement photo session here in Maine. This image was taken in Cape Elizabeth in as a part of a larger collection done throughout the area. We started the photo session at Fort Williams Park and explored the many trails, fields and then ended at Portland Headlight. From there we headed off to this hill as the sun begins to set overhead. It just snowed the day prior and was rapidly melting. We lucked out as there was still a good coating of snow over the hill setting the stage for a very romantic and classic Maine winter wonderland image. This couple was from Texas and rarely ever saw snow and feasted at the opportunity to create some images that were so different. They came dressed for the part with cute ear muffs, mittens and sweaters all perfectly complementing each other. The entire set of images came out beautifully and captured their personalities and feel of the day. Cape Elizabeth offers many wonderful locations and is minutes from Portland for additional urban photo opportunities.